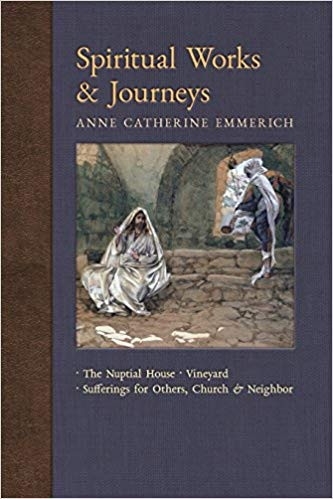 Spiritual Works & Journeys is the eleventh volume of the long-awaited “New Light on the Visions of Anne Catherine Emmerich” series. In parts one and two the visionary speaks of “action in vision” in the “nuptial house” and “vineyard” whereby she labors for souls. Parts three and four continue this theme in a wider framework, such as the “two churches,” “planetary influences,” St. Michael and spiritual warfare, and the Church Militant. 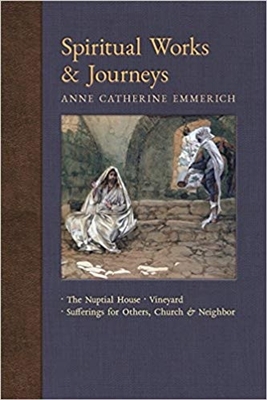 Part five recounts fascinating spiritual journeys on behalf of the well-being of the souls of others.